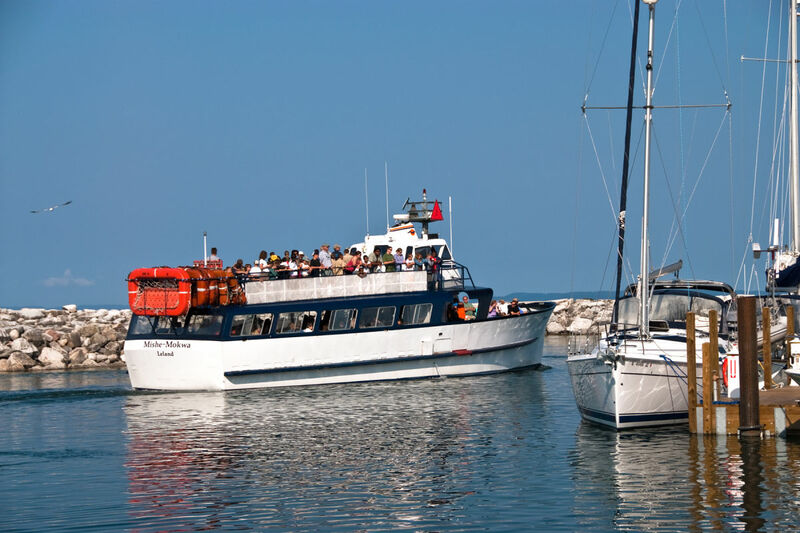 Visit the Manitou Islands with boats leaving each day during June, July, and August from Leland. In July and August, a ferry also departs for North Manitou Island seven days a week. Special charter trips are available for clubs and groups. Evening cruises are available in July, August, and early September at 6:30 PM ($25 for adults and $15 for children). For more information, please call (231) 256-9061.